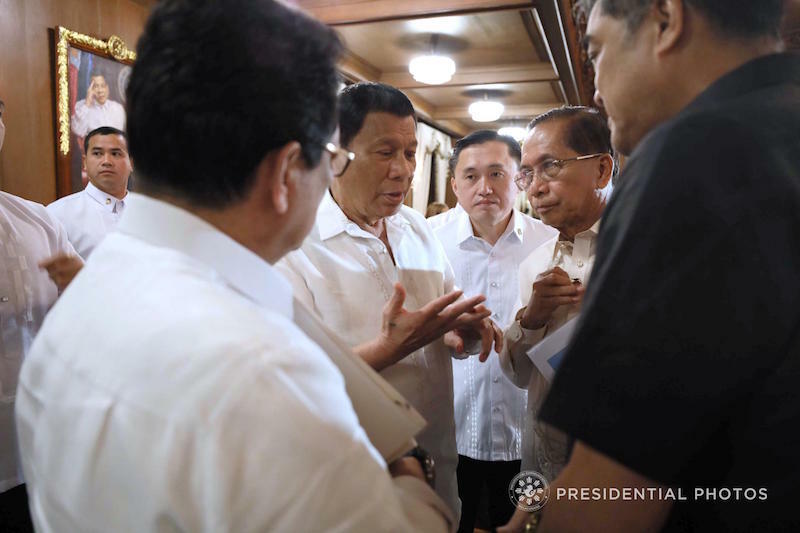 DAVAO CITY (MindaNews / 17 April) – Peace negotiations between government (GRP) and the National Democratic Front of the Philippines (NDFP) will resume sooner than the 60-day timeline set by President Rodrigo Duterte, Presidential Adviser on the Peace Process Jesus Dureza said. “I think we are back on track,” Dureza said during the Annual Plenary Session of the Canadian Chamber of Commerce at the Marco Polo Hotel Davao on Monday. Two days before the scheduled resumption of the fifth round of GRP-NDFP talks on Nov. 25-27 last year, Duterte issued Proclamation 360 calling off the negotiations citing as reason an ambush on Nov. 9 by the New People’s Army (NPA) in Bukidnon and other attacks. The President subsequently signed Proclamation 374, designating the Communist Party of the Philippines (CPP) and the NPA as terrorist organizations. “You cannot kill all of them and you cannot kill an idea, you cannot kill a revolutionary idea. They will still carry on even if you eliminate some of the ideologues. You have to address the root cause of why they are rebelling government,” he said. He said the government found difficulty in dealing with the communists because of differences in beliefs, including their refusal to honor the 1987 Constitution. But he added the talks are about finding a convergence point of the “two very divergent positions” and close the gap between the two parties. 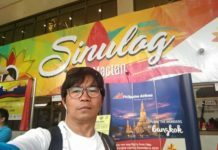 “He (Duterte) went to provide to them all of those favorable accommodation, but then he said, ‘Why are they still attacking our people? Why are they still burning equipment? Why are they still extorting?’ He said, ‘I will continue talking to you but stop first actions that will make you traitors in the eyes of the public’,” Dureza added. Both parties will still have to thresh out the three remaining Comprehensive Agreements on Social and Economic Reforms (CASER), dubbed the “heart and soul” of the peace negotiations, Political and Constitutional Reforms, and End of Hostilities and Disposition of Forces. The GRP and NDFP peace panels had already agreed on three common drafts on general amnesty and release of all political prisoners in compliance with the 1998 Comprehensive Agreement on Respect for Human Rights and International Humanitarian Law, among others. Dureza said he respects the statement of Mayor Sara Duterte who objected to the resumption of the GRP-NDFP peace talks and urged her father to reconsider his pronouncement. “I respect the statement of Mayor Sara because she knows why she has to say it but in this democracy, everyone is entitled to his opinion. 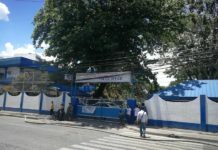 She has a task to do as a mayor to protect the citizenry of Davao,” he added. 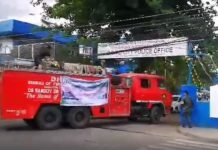 Also, Mayor Duterte condemned the NPA for burning 10 heavy construction equipment worth P65 million in a series of attacks in Calinan, Buhangin, and Paquibato Districts, this city, on March 31 and April 1. She said the burning delayed the construction of roads and hampered the development of the communities in the affected areas. “While I trust the wisdom of the President and his intention to end the insurgency problem peacefully, I believe pursuing peace talks with the NDFP-CPP-NPA is counterproductive and plainly useless,” she said in a statement issued last Friday. Dureza said there would be no shortcuts to “this work for peace” but that there will be a “faster and quicker pace in the outcomes” under the Duterte roadmap that seeks to deal with insurgency through the peace negotiation and, at the same time, bring development to the conflict-affected communities. He recalled that before the cancellation of the fifth round of talks, both parties agreed to create a body chaired by NDFP consultant Luis Jalandoni and tasked to implement development projects in areas beset by insurgency. He said the body copied from the template of the Bangsamoro Development Agency (BDA) of the Moro Islamic Liberation Front which provided aid to conflict-affected communities. Dureza, who emphasized the need to extend programs to communities to allow the people to benefit from the dividends of peace, said they would take up again the mechanism on how both parties can collaborate in providing socio-development program.